A potential HIV vaccine is set to begin human trials, after a promising extended trial on animals. 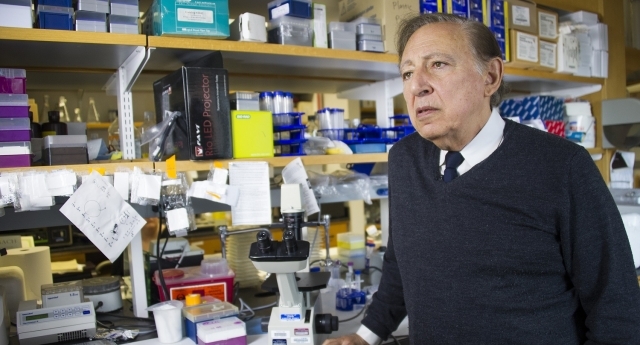 The vaccine was created at the Institute of Human Virology, at the University of Maryland School of Medicine – headed up by esteemed HIV researcher Dr Robert Gallo. Following promising results in an animal trial, the researchers are testing out a potential vaccine that could prevent or drastically reduce the changes of HIV infection. The first phase will last a year and will monitor the safety of the vaccine across an initial group of 60 volunteers. Study of the vaccine’s interactions with HIV will not commence until phase two of the trial, which lasts a further year. The “full-length single chain” vaccine contains specially-engineered HIV protein, which aims to tackle the way the virus binds itself to white blood cells. The vaccine has had very promising animal trials according to Dr Gallo, who told the Baltimore Sun: “Our HIV/AIDS vaccine candidate is designed to bind to the virus at the moment of infection, when many different strains of HIV found around the world can be neutralized,”. The vaccine has been in development for twenty years – a time period that has seen a hundred other potential vaccines fail to make it out of human trials – and joined a group of 30 other HIV-related drugs that are in human trials across the entire field of research. Back in January, Bill Gates predicted that a HIV vaccine will be made available in the next fifteen years and recently donated $6 million to research a vaccine.